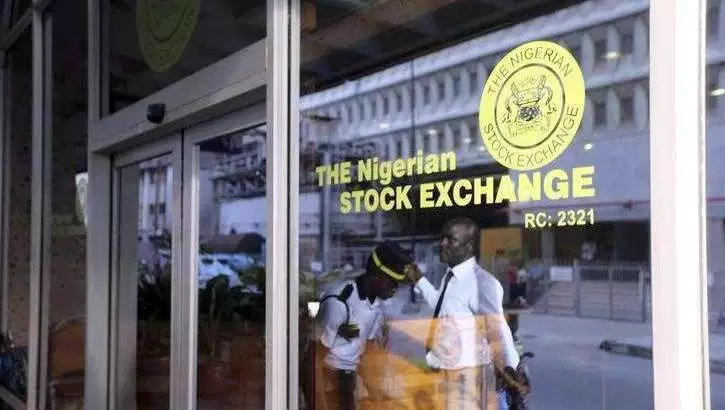 The market capitalisation of listed equities fell by N73bn on Thursday as 21 stocks recorded price depreciation at the close of trading on the floor of the Nigerian Stock Exchange. The market capitalisation dropped to N11.961tn from N12.034tn on Wednesday, while the year-to-date loss worsened to -14.3 per cent. Analysts said profit-taking in Nestlé Nigeria Plc, Guaranty Trust Bank Plc and Union Bank of Nigeria Plc’s shares pulled the NSE All Share Index, the benchmark index, down by 61 basis points to settle at 32,763.35 basis points. Activity level showed positive and negative performances as the volume traded fell by 10.4 per cent to 154.290 million units, while the value traded rose by 33 per cent to N2.7bn. The top traded stocks by volume were Fidelity Bank Plc (23.3 million units), GTB (16.8 million units) and United Bank for Africa Plc (16.2 million units), while the top traded stocks by value were Nestlé Nigeria Plc (N1.3bn), GTB (N621.4m) and Zenith Bank Plc (N246.2m). The performance across sectors was largely bearish as three of the five indices closed downwards. The Consumer Goods Index led the sector decliners, depreciating by 1.5 per cent, following profit-taking in Nestlé Nigeria, Dangote Sugar Refinery Plc and PZ Cussons Nigeria Plc. Similarly, the banking and industrial goods indices lost one per cent and 0.1 per cent, respectively, on the back of sell pressures in GTB, Union Bank and Cement Company of Northern Nigeria Plc. On the flip side, the Insurance Index gained 0.4 per cent, following investors’ bargain hunting in Custodian Investment Plc and Linkage Assurance Plc, while the Oil and Gas Index rose by 0.1 per cent due to buying interests in Total Nigeria Plc. Investor sentiment weakened as 13 stocks gained, compared to 21 stocks that declined. The top five gainers were First Aluminium Nigeria Plc, Royal Exchange Plc, Linkage Assurance Plc, Prestige Assurance Plc, and Law Union and Rock Insurance Plc, which saw their share prices appreciating by 10 per cent, 10 per cent, 9.38 per cent, 8.70 per cent and 6.56 per cent, respectively. The top five losers were Associated Bus Company Plc, PZ Cussons Plc, Honeywell Flour Mill Plc, Nestlé and United Capital Plc, which depreciated by 9.09 per cent, 4.81 per cent, 4.76 per cent, 4.18 per cent, and 4.11 per cent, respectively. Analysts at Afrinvest Securities Limited said they expected a rebound in market performance today (Friday).